Designing a new custom pool can be a significant undertaking, but it is often worth the time and effort. If you want to make the most of your pool near Greenville, SC, it is important that you do your research and carefully plan out every aspect of this new addition to your home. It helps to physically map out your ideas within the space where you want them to go. If you are in the process of creating a swimming pool design checklist, read on to find out what should be on it. 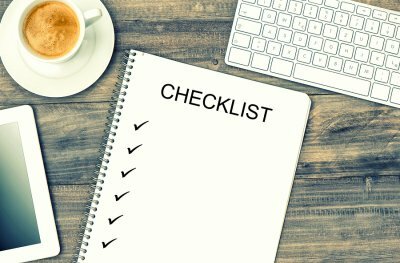 The first bullet on your checklist should be brainstorming. Think about the elements you want to include in your pool. What shape do you want your pool to be? Will you have a diving board? It helps to consider other pools you have seen and think about the aspects of them that you enjoy. You can look for swimming pool ideas online or talk to a few friends who have pools that you like. There are many aspects that go into pool design, so you will also have to think about pool decking, materials, coping, and much more. Brainstorming is the first step on your checklist, and it should come long before the installation. The last step on your checklist will be to find a suitable pool company. Installation is crucial and can dictate the efficiency and lifespan of your pool. Talk to your friends, family, and neighbors to see if they liked who they worked with, or look at local companies’ websites online. As you begin working on your swimming pool design, you may decide to create or renovate your outdoor patio in Greenville . When designing your pool deck and outdoor patio, you can choose between a number of different swimming pool construction materials. Each of these materials has distinctive pros and cons, and your decision may be based upon your overall backyard design, your budget, and your personal aesthetic preferences. Watch this video for some tips on how to create a backyard pool deck. You’ll see an example of a gorgeous swimming pool design for a backyard pool deck created using concrete pavers and travertine pool coping. Before your new swimming pool installation in Greenville , you’ll need to make a lot of decisions regarding your swimming pool design. For instance, you will need to choose the material and style of your swimming pool’s coping. Here are some tips for choosing pool coping for your custom pool. When you choose poured concrete for your swimming pool construction, you’re getting a durable, low-cost pool coping material. Poured concrete creates pool coping that is part of the same unit as the pool deck, which incorporates the coping over the edge of the pool without a break in the finish. This method can make your deck and outdoor patio look much bigger, even if they are relatively small. Your swimming pool design will also have much cleaner lines. Poured concrete also protects your pool coping from sun exposure, and prevents cracking. You are not limited to any particular style or texture when you opt for concrete pool coping. Natural stone is a more expensive option for pool coping, but it is also elegant and sophisticated. Stone is very skid-resistant, so it is a safe surface for an outdoor patio, particularly if you have young children. Stone also has very small pores, which prevents excessive heat buildup around your swimming pool. If your swimming pool’s design is curved, it may cost more to have bricks or natural stone cut to the appropriate specifications. Brick coping is also natural looking and lovely, and offers you a lot of flexibility with the style and colors of your swimming pool design. Brick is a durable, low-maintenance pool building material that will last for hundreds of years. Precast concrete is the least expensive pool coping option. If you choose precast concrete, you’ll have more money in your budget for other elements of your swimming pool design and construction. You can choose from a wide array of textures, patterns, and colors for your pool coping. Precast concrete is also easier to install, and will look more uniform and cohesive than brick or natural stone. 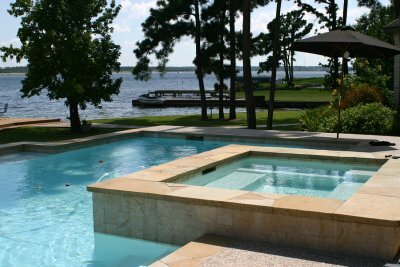 One of the best parts about a custom swimming pool installation is creating a unique swimming pool design in Greenville . You’ll work carefully with your pool builders and pool contractors on your overall pool design and patio design. The sky is the limit when choosing the materials and features of your new custom pool, and it’s easy to create the swimming pool of your dreams. The first swimming pool design decisions that you will have to make are the size and shape of your custom pool. Your new swimming pool should seamlessly integrate into your overall backyard design. Next, you will need to choose swimming pool features, such as outdoor patio elements, pool water features, and in-ground hot tubs. 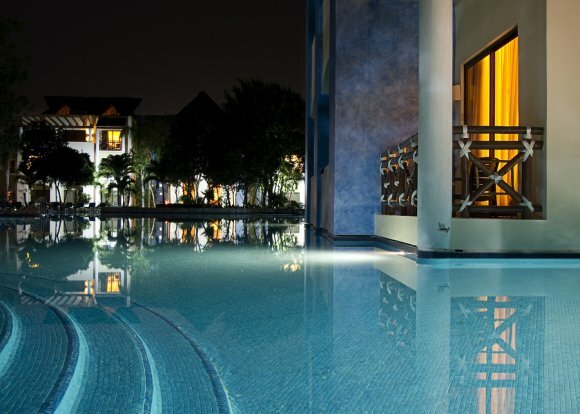 After choosing your pool’s features, you can choose necessary pool technology. You might want energy efficient or solar technology, for instance. You can also choose to have a pool heater, and automated cleaning system, or a salt generator. Finally, you will need to chose your pool decking, coping, and outdoor patio materials. You can choose between concrete, natural stone, brick, wood, and any other materials offered by your swimming pool construction company. What Are The Benefits of a Custom Shotcrete Pool Installation? If you’re interested in new swimming pool design and swimming pool construction near Greenville , you should consider a shotcrete pool swimming pool installation. Shotcrete swimming pool construction utilizes pneumatically applied concrete to create the shell of your new swimming pool. Here is a look at some of the benefits of a custom pool made of shotcrete. The benefits that most homeowner’s are excited about are related to the cost and durability of shotcrete pools. The concrete that is used in your swimming pool construction is low-moisture, which means that it is much stronger than other types of concrete pools or inground pools. This increase in strength makes your new swimming pool more resistant to shrinkage, cracking, freezing, thawing, permeability, and normal wear and tear. You will need to spend less money and time on repairs and maintenance, because your pool will be more durable and long lasting than other swimming pool designs. There is great flexibility for custom swimming pool designs when you opt for a shotcrete pool. Your swimming pool construction will occur onsite, so you can supervise your pool builders every step of the way to ensure that your pool construction is to your specifications. 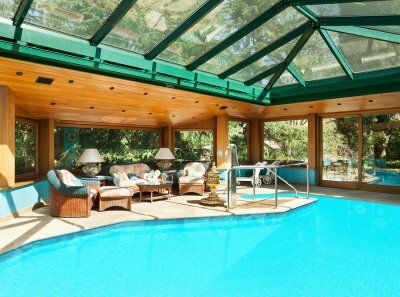 Fiberglass pools and other types of swimming pools are prefabricated in a few specific swimming pool designs and shapes, and can’t be customized to any great extent. Shotcrete pools can be designed in any shape, style, and size that you can imagine. Your pool design can be perfectly and seamlessly integrated into your overall backyard design. There is a significant difference in the swimming pool installation time and cost with shotcrete pools as compared to other types of swimming pools. It takes 33-50% less time for pool builders to complete swimming pool construction of a shotcrete pool than to build the same size swimming pool using other methods. This also translates to savings in labor costs. Once you have invested time and money into a custom pool in Charleston, you need to keep your pool well maintained to make sure it stays beautiful and usable for as long as possible. 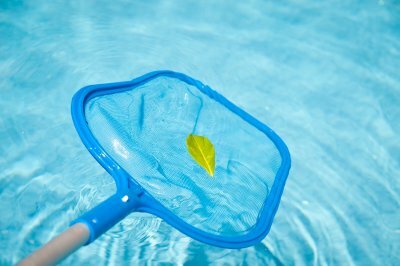 The primary elements that ensure your swimming pool water remains healthy and clear are swimming pool cleaning, maintenance, and repair. Here is a quick homeowner’s guide to maintaining your new backyard pool. Once a week, you should shock your pool to disinfect the pool’s water and break down organic matter. The ratio of chemicals that you use to shock your pool must be in proportion to the pool’s size and water volume. The labels on your pool chemicals should provide detailed instructions about how much you should use. You may need to use more after a rainstorm or in extremely high temperatures. You should also add algae prevention chemicals weekly, brush the pool’s walls, and vacuum the pool’s floors. You must check and maintain your pool’s chemical levels twice per week. You can use pH test strips to measure the level of chemicals that are in your pool at any given time. The pH of the water should always be between 7.4 and 7.6; if it isn’t, you will need to adjust the pool’s chemicals as needed. The chlorine in your swimming pool should measure between one and three parts per million. The pool filter baskets must be emptied twice per week, the tiles should be cleaned, and you should remove debris from the surface of the water using a pool skimming tool. The longer you wait to perform pool repairs, the more damage will be caused to your backyard pool. Check your pool’s pump, heater, and thermostat regularly for signs of wear and tear or damage. You also need to pay attention to the pool’s water level to spot early signs of water loss. 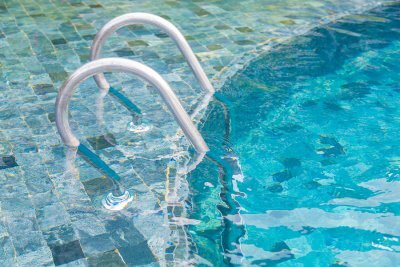 Contact a pool contractor or pool repair person as soon as you notice signs of damage.